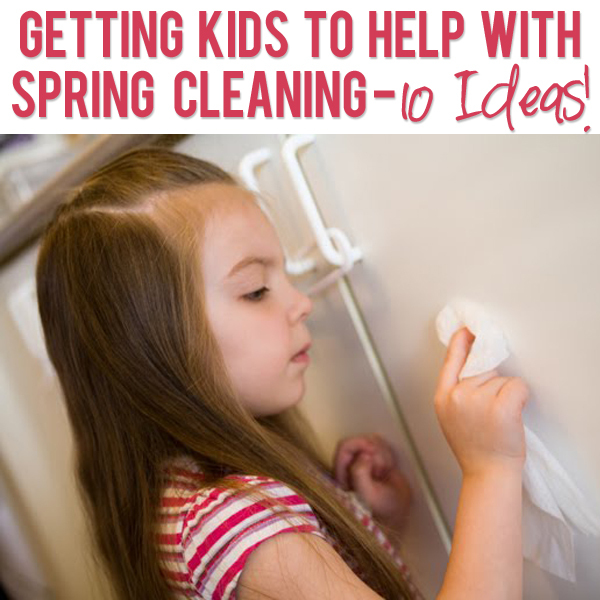 10 Fantastic Ideas - Kids HELP with Spring Cleaning!?! 10 Fantastic Ideas – Kids HELP with Spring Cleaning!?! Heather from Raising Memories is back! You will love this next idea she has! It’s really Spring! In the part of Canada where I live, we’re finally getting some beautiful weather this week and I love it! Along with the weather comes this strange mood that prompts me to want to do some Spring Cleaning! All you need is a wet cloth for this. If you need some motivation for your kids to join in or to keep them interestd until the job’s done, start a race around the room, to see who can wipe the fastest! We used to have a couch with removable cushions. The girls LOVED taking them off & jumping on them. You could even make that part of this task- remove cushions, set the timer for a little jump time, vacuum the couch, and replace the cushions. I think young kids love it when they’re given some responsibility- they know you trust them. 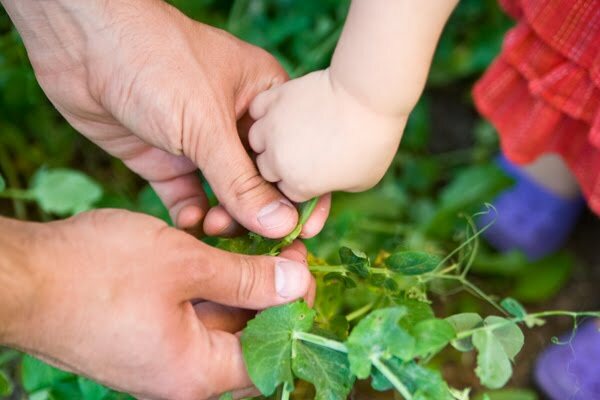 Gardening is something little kids can help with- whether they just get to drop the seeds into a hole, or dig the hole themselves. They can help water and weed later, too. Make sure you take the time to get excited about the flowers or vegetables or berries you’ve grown- it’s a little magic that they got to help with! Call your kids over & tell them that this time you actually want them to pull all of the books off the shelves. Once that’s done, they can help you dust the shelves and pass you books to place back where they go. I don’t know what it is about Clorox wipes, but hand them to one of my girls, and they are more than happy to wipe whatever it is you ask them to! Windex and paper towels have the same effect that Clorox wipes do- my 5 year old LOVES it when I let her spray & wipe the windows! Granted this might make the task take longer in the end than if you did it yourself (you may have to go over it to get rid of streaks, and of course to reach the higher parts), but they have so much fun, and they’re learning a skill- I think it’s worth it! 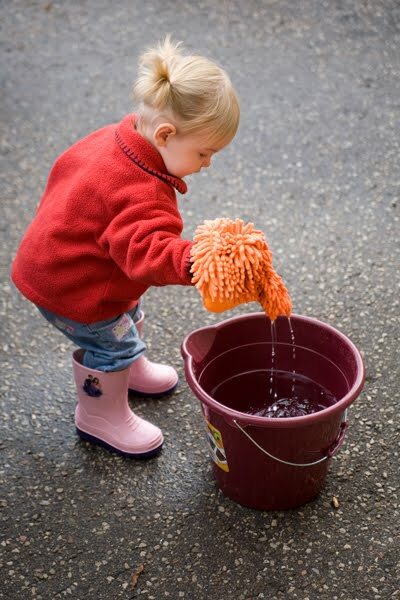 Grab the rain boots, get some soapy water in a bucket with some sponges and you have a lot of fun for young kids! Of course you’ll need Mom or Dad out there to reach the high spots and keep some control over the situation, but this has to be one of the most fun jobs around! You can turn the clothing task into a fashion show (but be prepared to do this one in 2 or 3 parts depending on how many clothes you need to go through- as fun as a fashion show is, they may get sick of taking off & trying on clothes over & over). Toy purging is a delicate task, but if you take the time to explain that you’ll be donating the toys to someone who needs them, you might be surprised at the decisions your child will make. Be sensitive to their feelings as they choose to part with some things & be sure to tell them how proud you are of them! These are just 10 ideas- I’m sure that you ladies have lots more great ideas and I would love to hear them! How have you included your young kids with spring cleaning? Thanks Heather!!! If you want more FANTASTIC ideas on fun things to do with your kids, check out her blog – you won’t be sorry. A mother of 5 who holds a degree in English and run on sentences. She has a passion for photography, especially capturing life's sweet moments. She has a serious addiction to Oreos, coconut oil and sushi...not necessarily all at the same time. 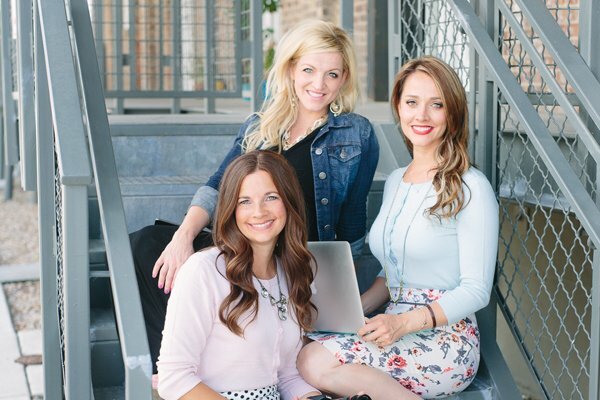 She is one of the 3 founders of HowDoesShe.com. What a great idea! I love all the tips in this post! Thanks for sharing! My first chore was helping mom wipe down the baseboards. I loved scooting around the room with her. That brought back some nice memories. These are some great ideas Heather! I fill a little spray bottle with vinegar and water for the kids to use, that way I don’t have to worry about any harmful chemicals getting on (or in) them! That’s a great suggestion Lindsay! I have always included my kids in our spring cleaning. You need to take advantage of their desire to help while you can. Young children are eager to do what the adults in their lives do. I think you’re exactly right! If we teach them now & get them involved while they’re happily helping, I think they’ll be more likely to want to work/clean when they get older! I suppose I appreciate the spring cleaning reminder 🙂 We’re going through clothes today! These are some great suggestions and jobs I just don’t get around to often, so if I can get the kids to want to do it … brilliant! My 3 year old LOVES to help clean. One of her favorites this year was dusting the blinds. We put daddy’s old socks on her hands and she rubbed them up & down the blinds until they looked clean. She thought it was so funny! I think sometimes in our rush to get it done we forget how easily kids can do some tasks and how important it is for them to learn. 🙂 Thanks for the post. These are such great ideas! Thanks. I love these ideas! It is so important to teach kids to work! The baseboard idea reminded me of an experience this year when my kids got to clean baseboards with their cousins…it made it much more fun to finish the task when the kids were surrounded by the people they love! They all got to pick their favorite Krispy Kreme donut when all the cleaning was done and I have to say a little bribery really worked! 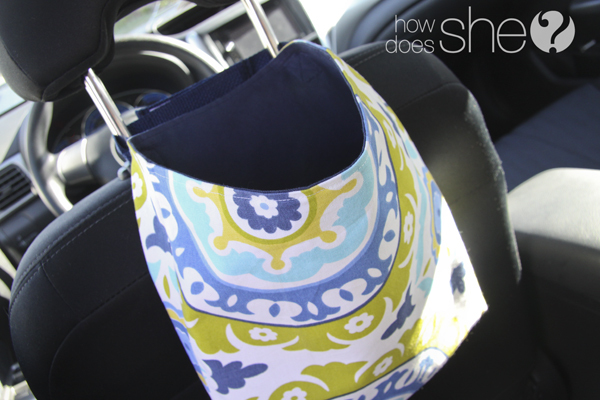 Fun Post on cleaning…who would have thought!?! Cute kids too! I DEFINITELY need to get Sierra in on some baseboard cleaning. Actually, I wish I wouldve read this post earlier today because we have some girls billeting at our house right (for youth conference) so i’ve been cleaning all day and could’ve used some little hands to help with some of those things! Good ideas Heather! I would INTENTIONALLY put change under sofa cushions and in laundry pockets. I told my daughter that any money she found was hers to keep if she helped with vaccuming and checking laundry pockets and “sorting (of course I had to resort but it is good practice – her dad STILL can’t sort). It was only small change – always less than a dollar but the fun she had searching for money made her WANT to do a good job. haha That’s awesome- I love it that you planted change there!